Feb. 4, 2019 Join host Eric Raddatz, judges Ilene Saffron, Katarina Danks and Leoma Lovegrove with co-host Melissa Tschari DeHaven for fresh short indie films, music, comedy and fun. Get a look at how the Fort Myers Film Festival views submissions for independent films and participate in the selection process. Have a say whether or not they should make final programming. The house opens for cocktails at 6:30 p.m. and show starts at 7p.m. in the Grand Atrium of the Sidney & Berne Davis Art Center, located at 2301 First St., Fort Myers. Tickets are $10 for adults and $8 for seniors and students. “This is one of the highlights of our season. It’s so much fun! Everyone loves coming out on Monday nights. There’s always something happening that you wouldn’t expect on a weeknight,” says Melissa Tschari DeHaven, producer and co-host of TGIM and the Fort Myers Film Festival, who is excited for a full season of film. The season kicks off Monday night August 6 at the Sidney & Berne Davis Art Center with host Eric Raddatz, and co-host Melissa Tschari DeHaven. Get a look at how the Fort Myers Film Festival views submissions for independent films and participate in the selection process! Have a say whether or not they should make final programming. The house opens for cocktails at 6:30 p.m. and show starts at 7p.m. in the Grand Atrium of the Sidney & Berne Davis Art Center, located at 2301 First St., Fort Myers. Tickets are $10 for adults and $8 for seniors and students. 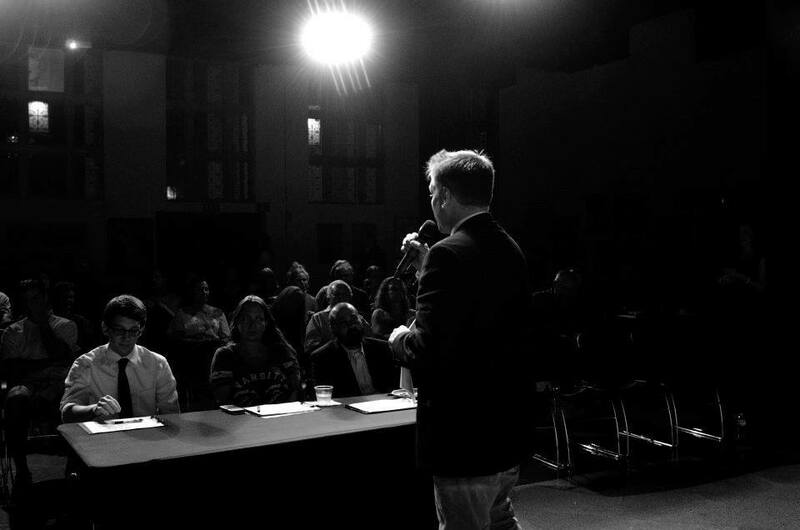 Come watch them judge short indie films EVERY FIRST MONDAY in season submitted to the Fort Myers Film Festival and have your say as to whether or not it makes the grade for final programming during our festival!